David described his paper, Tipping Point to me as “an attempt to describe globalised complexity in more popular form”. I said then that I thought it went, significantly beyond that! Understanding something as abstract as complexity is difficult! That situation is not helped with all the other, daily, tasks that take on increased significance in tough trading conditions. If you have looked into the subject at all, you will know that there is no shortage of major Consulting firms willing (if not able) to “help”. Of course each is very keen to offer their own interpretation and particular brand of solution to, what is (thankfully) now recognised as a source of risk, that, unmanaged, degrades profitability, adds to systemic risk and financial uncertainty. The task of managing complexity is not made any easier when you consider that there is no single [universal] definition of complexity and that conventional risk management tools and statistical analyses CANNOT identify, measure or map, the hidden information structure that is contained within the data that an enterprise generates as it functions. That’s right, the “task” begins, as it should, you: USE THE DATA YOU ALREADY HAVE! 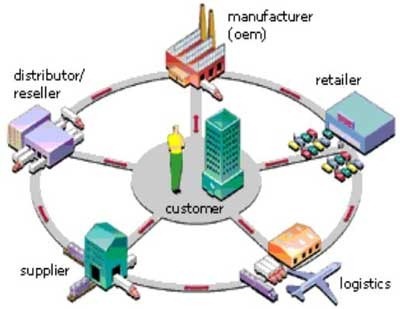 A recent article, by SAP, on the subject of Complexity can be found here. From my experience the majority of people fall into two “camps”. The one’s who claim they know about complexity and already “deal with it” or those who admit to knowing nothing/very little about it and do nothing. What both tend to have in common is that neither can define the problem, explain current/possible solutions. NONE are able to quantify the impact of the problem upon their profitability or risk profile.